When the TARDIS lands on an Australian beach in the 21st century, the Second Doctor looks forward to building some sand castles – but when he is mistaken for a major political figure it isn’t long before he, Jamie and Victoria are swept up in a web of spies, secrets and conspiracies. 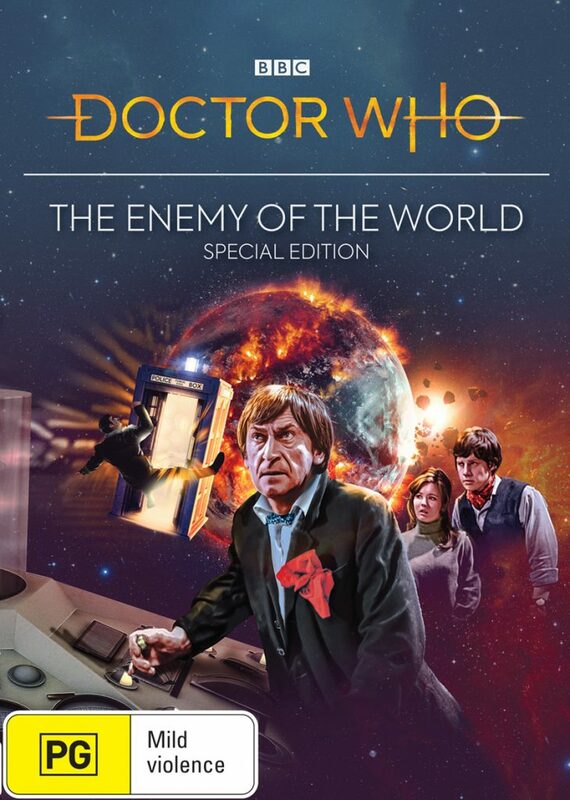 Long forgotten, Enemy of the World was widely hailed as a classic when it was rediscovered in 2013. The legendary 6-part adventure now gets a long-overdue special edition treatment in this 2 disc release packed full of brand new extras and featuring a new remaster job that improves on the story’s initial release. Special features include: commentary, remastered episodes, a look at the making of the story, an interview with lost episode hunter Philip Morris, a tribute to the late Deborah Watling, production subtitles, a photo gallery and episode scripts in PDF form.